Nordic Walking UK offers bespoke one-day and two-day navigation courses for instructors, walk leaders and Nordic Walking UK members. This unique course is aimed at Nordic Walkers and covers the theory of how to find your way home whatever the weather, even if your sat-nav fails. It is aimed at anybody who wants to get a better understanding of navigation using a map and compass. This is an entry-level course in navigation for personal development. No qualifications are needed in order to participate on the 1-day course. 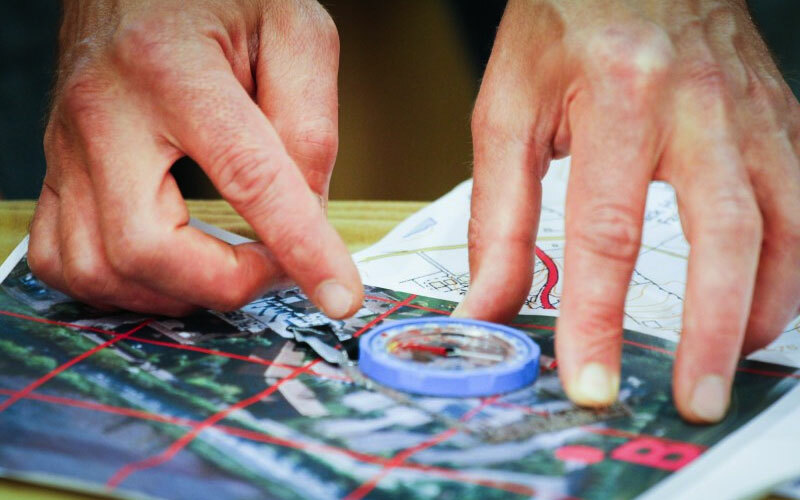 Continuing on to day 2 from the Introduction to Basic Navigation Techniques will expand your knowledge and practical skills, and enable you to gain the Bronze National Navigation Award. 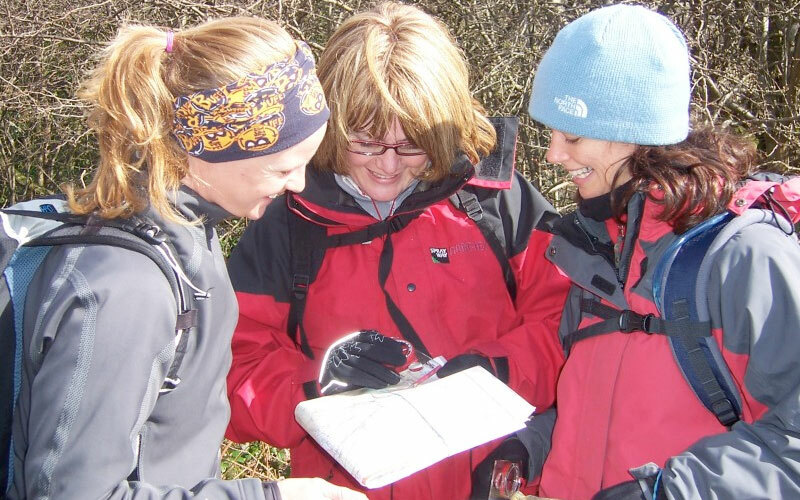 This is an entry-level course into navigation for personal development & will give you a NNAS (National Navigation Award Scheme) Bronze Award, assuming you are able to demonstrate a good understanding and application of the skills being learnt on the course. No qualifications are needed in order to participate on this 2 day course. Clothing suitable for the countryside & time of year – We will not be moving quickly, so please account for that in your clothing selection. 1 spare warm top, not cotton please. Wool or synthetic will be fineSpare clothing for day 2, should your day 1 clothing get wet. Suitable footwear for wet ground, preferably off road walking/running shoes suitable for NW. Lunch, day-food & a water flask. The location is Glenridding Public Hall, Glenridding, CA11 0PA. Tea/Coffee at the event location. Notes for you to take away, as there is always a lot to absorb. A NNAS Bronze Award certificate, assuming you demonstrate a good understanding of the 2 days of learning & application. This is an intermediate-level course into navigation for personal development & will give you a NNAS (National Navigation Award Scheme) Silver Award, assuming you are able to demonstrate a good understanding and application of the skills being learnt on the course. Note: You must already hold a NNAS Bronze Award or be able to demonstrate that you are at the level of a basically skilled navigator already in order to participate on this 2 day course. Full waterproof cover (Jacket with hood and Pants), these must be taped seems, please call to discuss if your not sure. Spare clothing for day 2, should your day 1 clothing get wet. A NNAS Silver Award certificate, assuming you demonstrate a good understanding of the 2 days of learning & application. Plenty of smiles and understanding. Glenridding Public Hall, Glenridding, Penrith CA11 0PA. Any learners who have already completed the first day can attend day two to gain the certificate but it would be necessary to arrive early for a refresher session – call us for more info. (Cost as day one above). I had a great day with Charlie Sproson yesterday. It was great fun, extremely informative & very very well presented (even my tiny brain coped with it) He is a great instructor, hugely reassuring, complimentary & encouraging all at the same time. The course is well worth attending for all levels. We even used a tiny little ‘u’ shape on the map & matched it to a small boulder that was poking out of the vast hillside in front of us to help pinpoint where we were positioned. Following this we used a very slight shoulder in the terrain beneath our feet (only about 30ft long) to help us pinpoint a much bigger shoulder further up the dale. It was fascinating. We were given copies of everything that we had covered & numerous web sites to look into regarding the plethora of questions that we fired at him. I haven’t stopped pawing over maps & compass’ since! In fact I became so intrigued by the whole subject that I ended up reading into sun dials & the magnetic effects of the poles! Crazy or what!